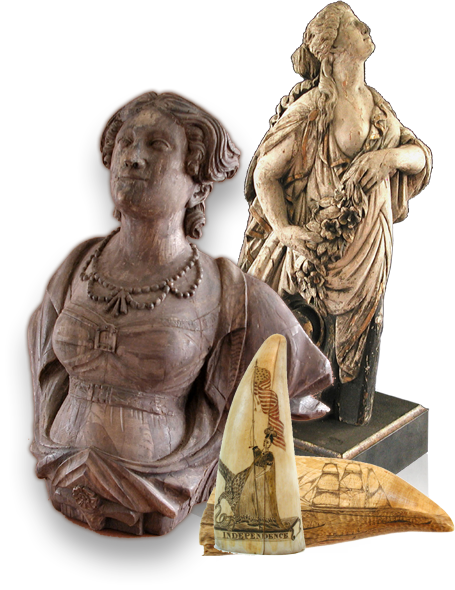 John F. Rinaldi, Nautical Antiques specializes in buying, selling and collecting a wide range of maritime antiques including antique scrimshaw and whaling items, ship carvings and figureheads, nautical paintings, navigating instruments, naval items, ship models and numerous other maritime antiquities. Since 1972 we have issued 38 illustrated catalogs featuring thousands of nautical antiques. We welcome you to view our latest catalog by clicking the link found in our navigation. Should you need more information feel free to contact us. You may also order a fully illustrated print copy of our current catalog. 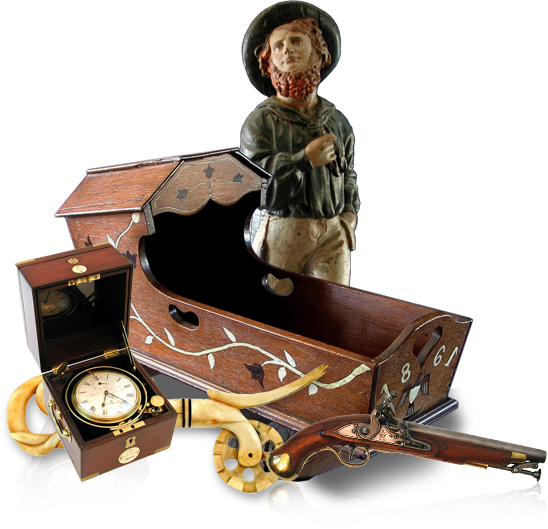 To view more examples of the type items that we regularly handle, visit our Maritime Antiques page. 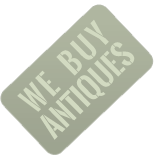 A diverse representation of the type of items that we regularly buy, sell and collect. An assortment of important 19th century scrimshaw. A few 19th century maritime related wood carvings. A grouping of important naval related antiquities. A few 19th century maritime paintings. An assortment of early navigating instruments. Group of out-of-print books and catalogs on scrimshaw.